Wolf® WPATM 5.45x39mm HP Ammo. PRICED LOW! 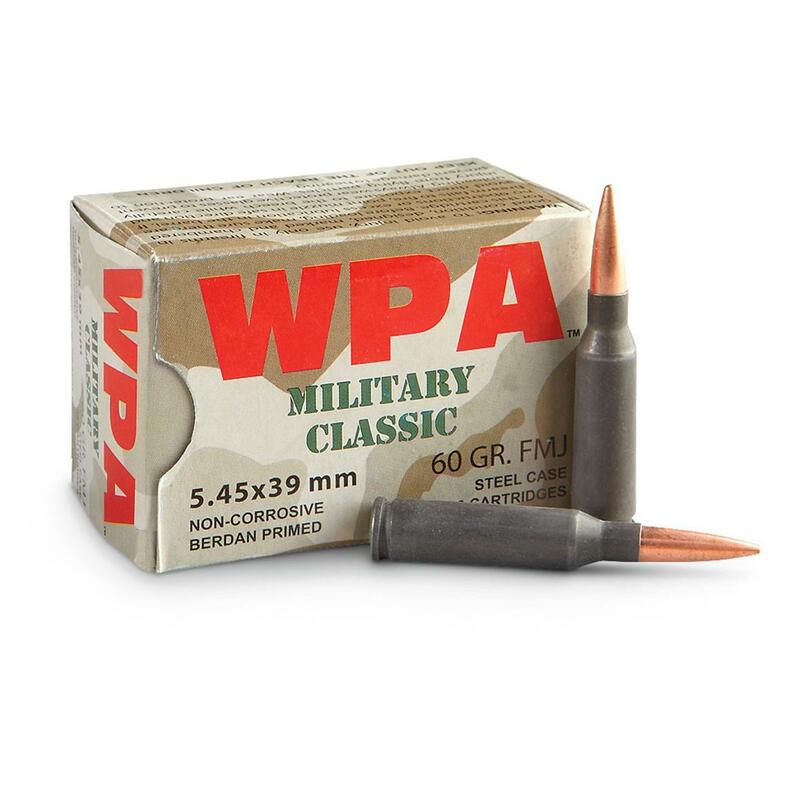 WPA, 5.45x39mm, HP, 55 Grain, 750 Rounds is rated 4.7 out of 5 by 3. Rated 5 out of 5 by 40s4me from Can't wait to shoot it New production (10/2016) 55 grain Wolf Polyformance (not WPA military classic as pictured). I prefer the polymer coated Barnaul to the uncoated military classic, anyway. I've had a hard time finding hollow point, so was glad to get this. Can't wait to send some downrange! I much prefer Barnaul over Tulammo. Rated 5 out of 5 by RYAN from Great price on this ammo. Worked flawless in my S&W M&P15 rifle. I was nervous because the bullet is shorter than bullets I get from surplus and Silver Bear. The 55gr has a lot of zip; great round for defense or practice.